Got another session in on this mandala and peony sleeve. We started the lower half of the arm today. 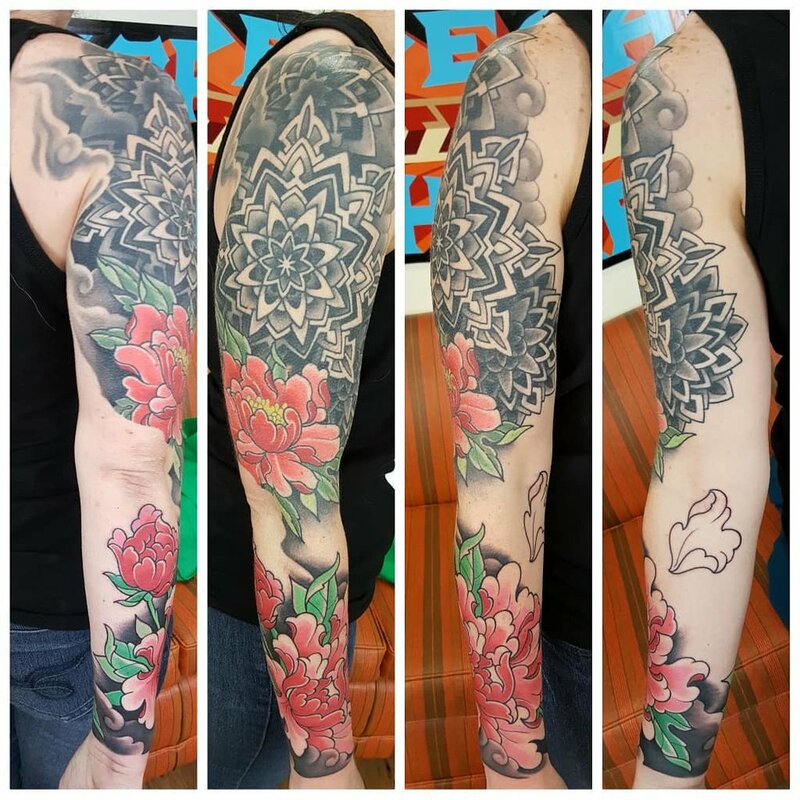 I'll be adding in more black and gray Mandala's behind the flowers in the next couple of sessions. email me to book a custom tattoo appointment at my private studio in Austin Texas.